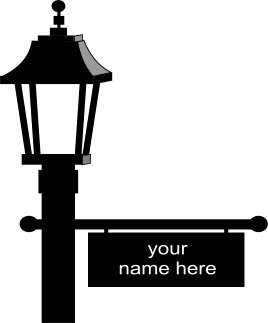 The lamp post signs at 12 inches wide and 5 inches high. They are a shiny black in front and back and the text is engraved in white. The signs must be prepaid, we will call you for your Credit Card information. The sign will be mailed to you directly from our Workshop. Expect a wait of about a week.